Isnt it time you moved to The Cloud? Let Pali make the transition for you! If you order searches or conveyancing reports from Pali, you will have access to their online Cloud Storage System which will enable you to store all your files which relate to a specific case. your current management system saving additional staff time. You will be advised of area specific recommended searches such as potential fracking, mining, HS2, etc. Search packs can be set up including the searches of your choice which can be ordered at a click of a button. You can also choose between council and regulated personal searches and pay on a monthly basis. Have access to the Pali backup team to gain the service you expect from the best company in the industry. All the reports and searches are fully guaranteed and insured. You can have peace of mind and full confidence in Pali as the directors have sixty years experience in providing conveyancing searches and Pali are also members of CoPSO, IPSA, PCCB and adhere strictly to the SearchCode. What happens if the storage provider goes bust or the Pali website goes down? We are in the final stages of creating a system which will enable our clients to create a local back-up of all data stored on our cloud system and sync it directly with a PC, Laptop, or Mac in your office, therefore should the unthinkable happen, you will always have an up-to-date copy of all your files, which can be accessed off-line if necessary. 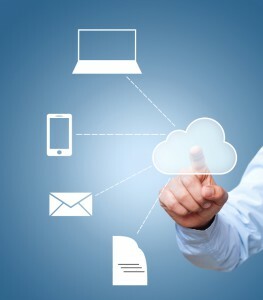 Pali can enable you to store all your conveyancing files in one simple and easily accessible place for free – THE CLOUD!